Loose Tea or Tea Bags? We are probably more used to knowing this tea as ‘Black’ tea in the west, although it is known as ‘Red’ tea in Asia. It should not be confused with South African ‘Rooibos’ which is made from a completely different species. This tea is prepared from the leaves of the Camellia~sinensis shrub, as are the majority (but not all) teas. Premier Red Thai Tea with Ginger. Ginger has been a favourite in Europe since the 11th century. It is high in vitamin C. Ginger originated in China, where it is used as a herbal medicine to calm stomach complaints and nausea, and also to stimulate the appetite. Only natural, dried ginger is used in our tea. 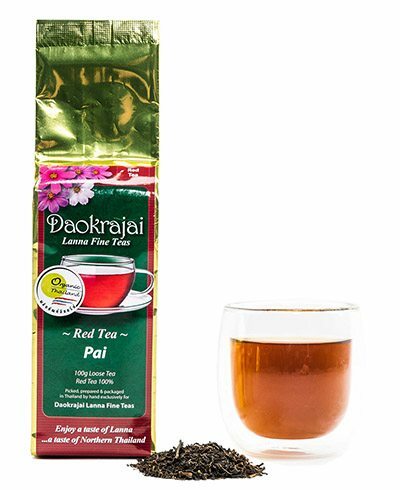 This is currently our most popular Red Tea. Premier Red Thai Tea with Lemongrass. Lemongrass is a popular addition to many Thai dishes. 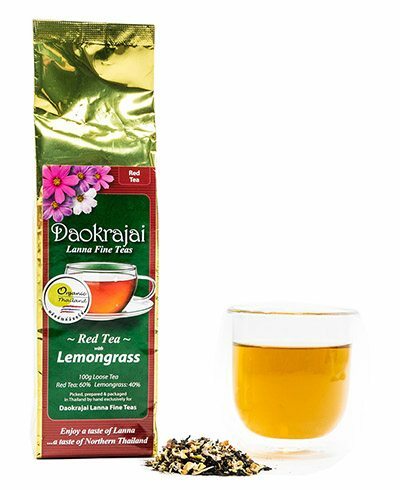 It has a strong citrus aroma when dried which translates into a subtle lemon taste when infused with our tea. There are many claims for it’s medical benefits, although one use made of it in Asia is an aid to sleep. Premier, Organic, Thai Red Tea. Sometimes known as black tea in the west but known as Red Tea in Asia, this is a fully fermented tea with a rich, deep flavour. 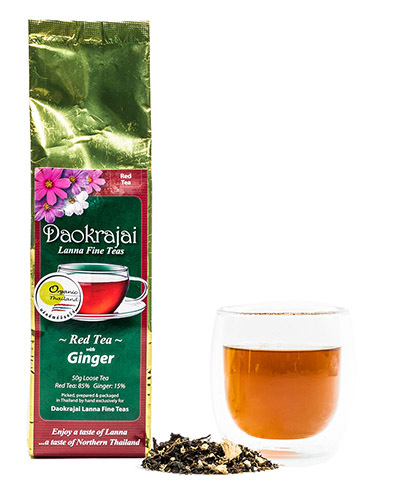 Distinct from the more widely consumed teas, it has an aroma and taste all of its own. Compare it with the tea from your local supermarket and you will immediately appreciate the difference. This is the tea that caught the imagination of the early travellers to China in the 16th century, who then brought this delightful beverage to our shores. The colour is not due to any additives, but is the unique result of many years of cross breeding between sub-species at the tea farm in Northern Thailand. We name this tea ‘Pai’, and in Northern Thailand ‘Pai’ is a name for bamboo. In Thai culture, the bamboo represents honesty and truth. In our opinion, Daokrajai Pai tea represents both of these. Premier Red Thai Tea with Pandanus. Pandanus is used throughout Asia in food, as a medicine, as a beverage and alone as a tisane or as part of tea. 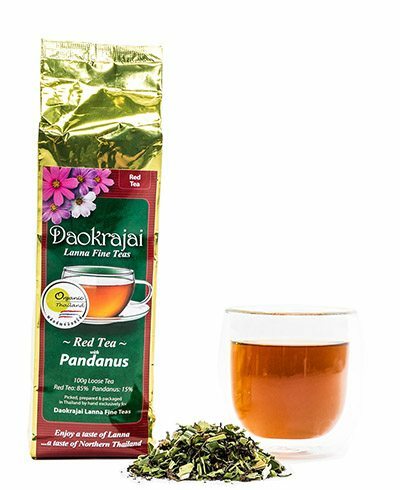 Pandanus has a deep green colour which imparts a golden hue and also a slight bitterness which is tempered by our premier Pai tea to bring a unique sweetness to the beverage. The species used in our tea is the pandanus odorus ridl, which is known to the west as Fragrant Screw Pine, and in Thai as Bai-Toey. The medicinal properties of the herb can be researched online. A bright, healthy way to start your day. Premier Red Thai Tea with Rosella. Rosella is a variety of Hibiscus (Hibiscus sabdariffa), of which Thailand is considered to produce the highest quality in the world. 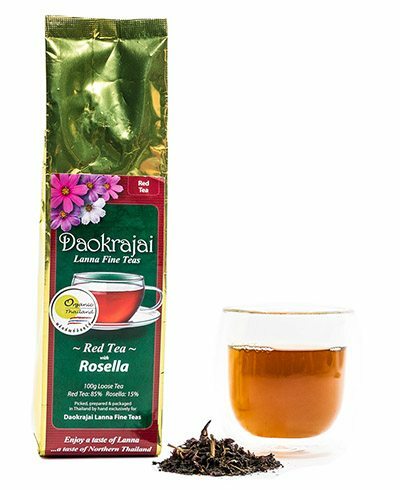 Rosella tea is a wonderful sweet/sour combination which is quite unique. A confusing combination for the tongue to decipher, making you concentrate on the flavours more intently. The base of our Red tea adds a depth to the whole, making a very satisfying experience. Share Our Website, Choose Your Platform! In the rolling foothills of the Himalayas in Northern Thailand is a tea plantation that produces some of the world's finest teas. With highland and lowland fields the highest quality can be produced over a wide range of teas. 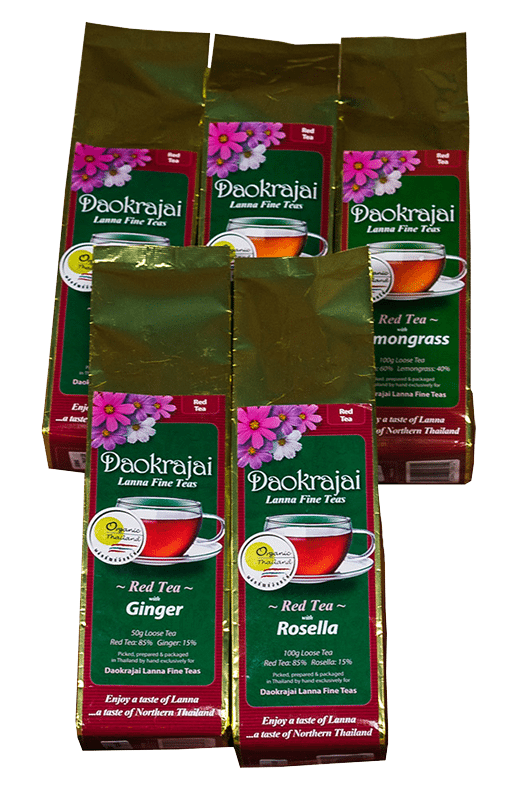 Green Teas, Oolong Teas, Herbal Teas and Red Teas from Thailand. Boutique Teas at their very best. 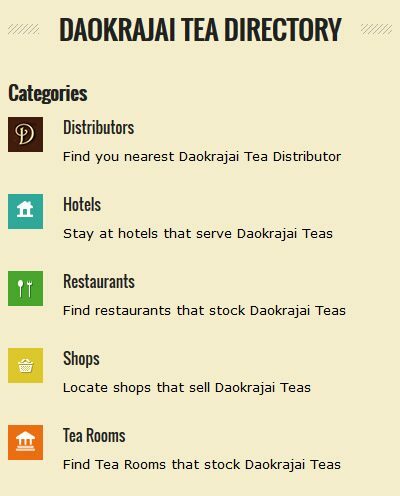 Discover them through Daokrajai Lanna Fine Teas. Find out how we promote the local Akha Hilltribes that work the plantation, how we endeavour to leave a minimal footprint and promote organic tea and fair non-exploitative conditions. From the plantation to your cup, you can trust Daokrajai Lanna Fine Teas to bring you the very finest… that’s our promise!